The next Hartland Farmers' Market is Friday 6/30 4-7 at the Hartland Public Library Fields. This week DV8 will be performing! The Hartland Farmers' Market accepts EBT, Debit and Credit. EBT users can double there purchasing power with Crop Cash. Come get your wooden coins! The next Hartland Farmers' Market is this Friday 6/30 4-7 at the Hartland Public Library Fields. DV8 will be performing for us! We've got a great mix of prepared food vendors this year, so come enjoy some local food, listen to music, and do some shopping while you support local artisans, crafters and producers. Its a tough decision, but we are going to cancel the market today due to the impending thunderstorms and high winds. I'm sorry if you have already prepared for the market. POP Club will start next Friday 6/30. Lets hope for some nice weather next Friday! The next Hartland Farmers' Market is this Friday 6/23 4-7 at the Hartland Public Library Fields. Kerry Rosenthal will be performing for us. The next Hartland Farmers' Market is Friday 6/16 4-7 at the Hartland Public Library Fields. This week Joice Marie will be performing! 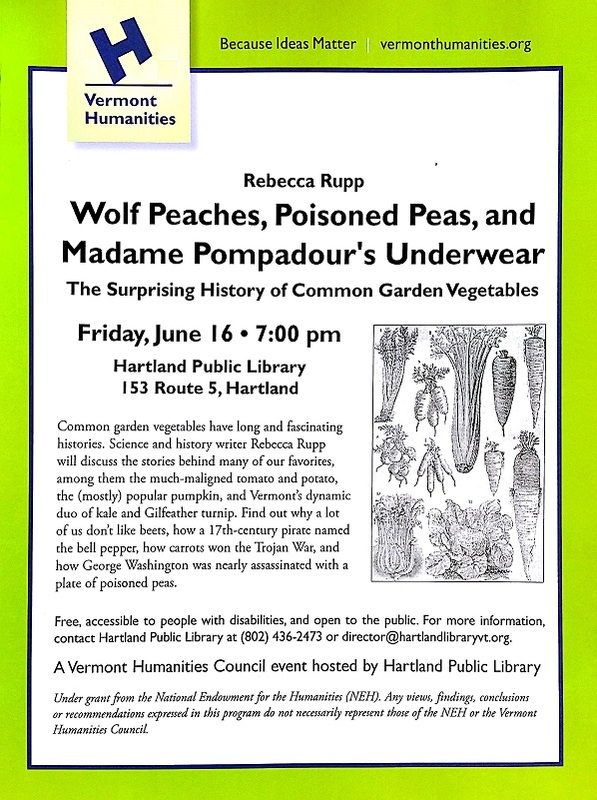 *This Friday at 7 p.m. at the library there will be an event by Rebecca Rubb about the history of garden vegetables. Make sure to stop by the market for some produce and then go learn about it! 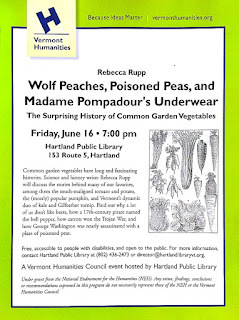 The next Hartland Farmers' Market is this Friday 6/16 4-7 at the Hartland Public Library Fields. Joice Marie will be performing for us. The next Hartland Farmers' Market is Friday 6/9 4-7 at the Hartland Public Library Fields. This week Meadowlark will be performing! We had a great kick off to our market season last week. Thanks to all that came out and supported our vendors! The next Hartland Farmers' Market is this Friday 6/9 4-7 at the Hartland Public Library Fields. Meadowlark will be performing for us. First Market Friday 6/2 4-7! !